Is Interlaken better in Winter? hmmm while we sit here and ponder summer vs winter... it is absolutely bucketing down outside! Why am I not out there? Well, I want to share with you the many reasons why Interlaken, Switzerland should be on everyone's travel list this winter. The season so far has been amazing and it doesn't look like it's going to stop! Lots of snow, lots of sunny days and as always, a silly amount of activities to do. ...but we're not here to discuss which season is better, they're both amazing, you must come during summer AND winter. Now let's talk about 2019, because it's what we call a perfect season! Lots of people to share the adventures with! While it always seems like a slow start, it's usually because we're all excited to get into winter activities! This season was no exception... patiently waiting for the first big snowfall. 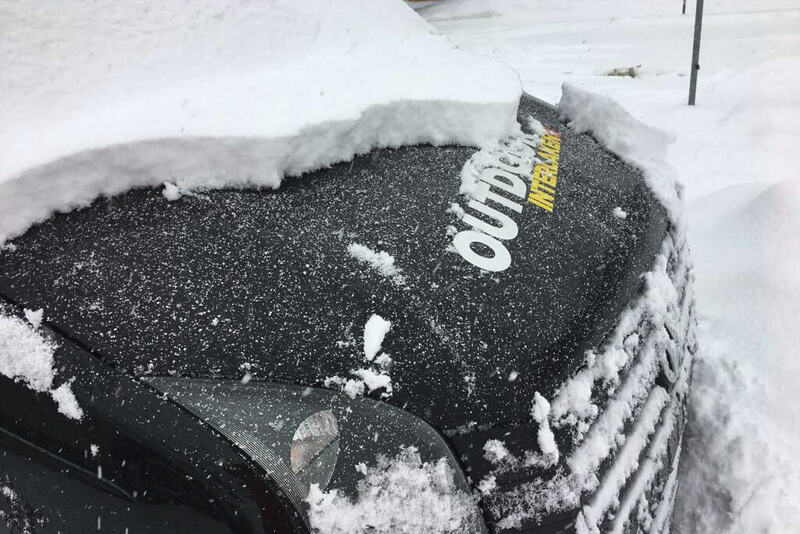 Once it came, it just didn't stop! 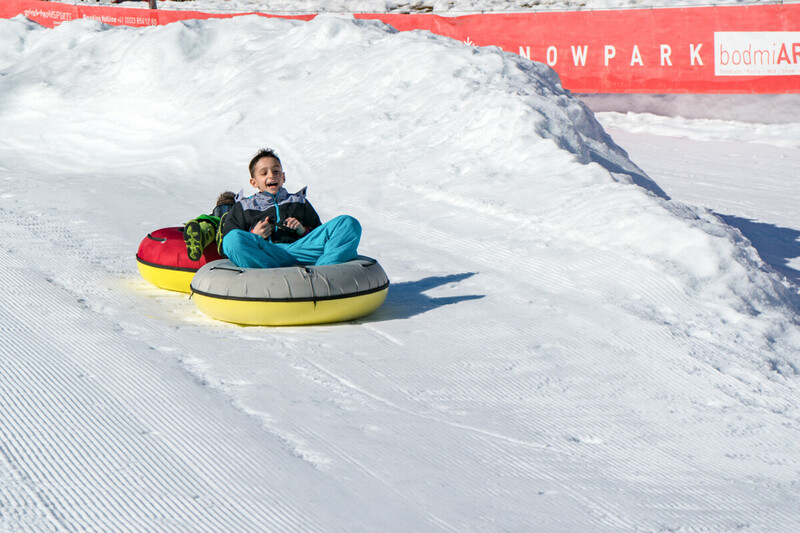 Lots of snow means we can open all the activities and really make the most of it! Where do we start... we can't go into everything in this post, but we can tease a few things to get you started! "What can I do if I'm not into skiing or snowboarding?" If you can walk around without losing your breath, you can snowshoe! To learn more about snowshoeing head over here. 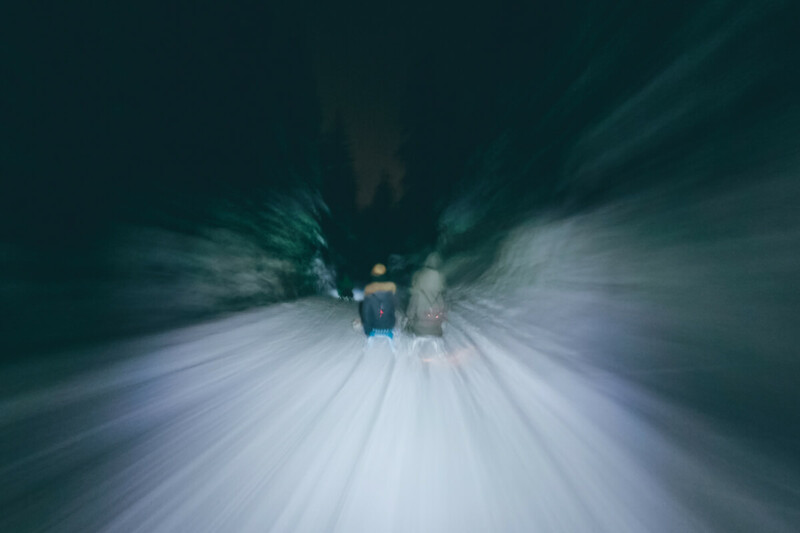 This is an awesome way to experience the mountains. 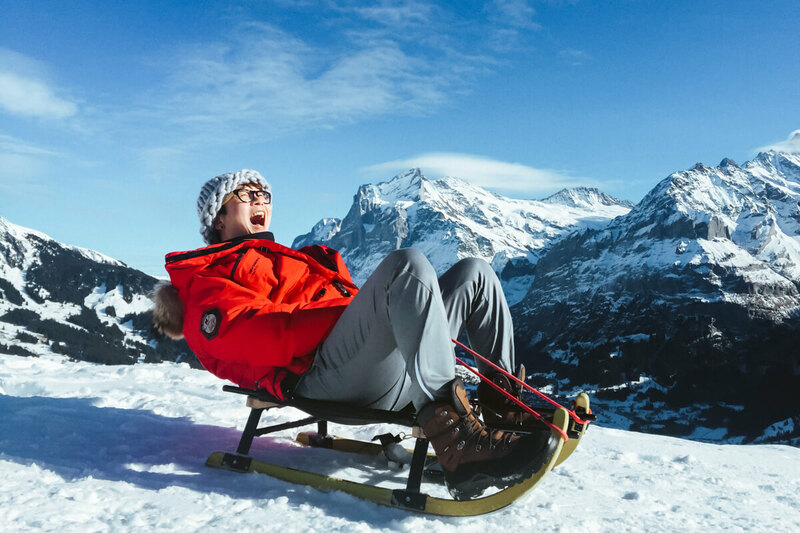 The sledding track runs opposite Eiger, Mönch and Jungfrau and goes past cute little Swiss villages and a huge frozen waterfall. Like day sledging, only this time we're doing it in the dark! This is one of the most popular activities around Interlaken. 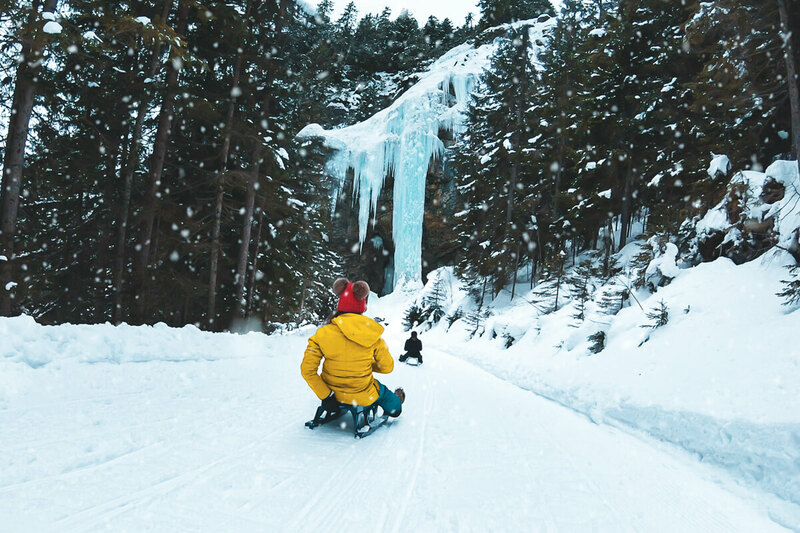 It's definitely unique, and you can spend the day out skiing then fly down a mountain on a sled in the evening! 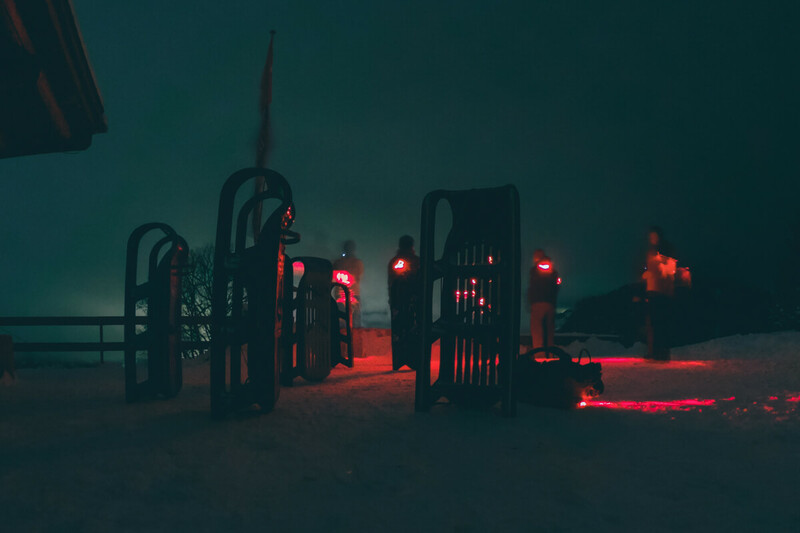 We have a designated beginner slope ready for first-timers or anyone wanting to get their ski legs back! 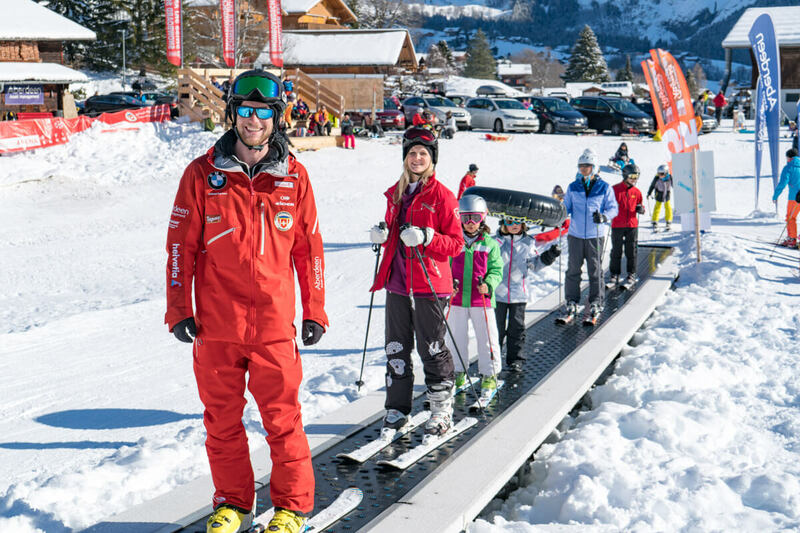 If you're up for learning to ski near Interlaken, check out this post for some useful tips! 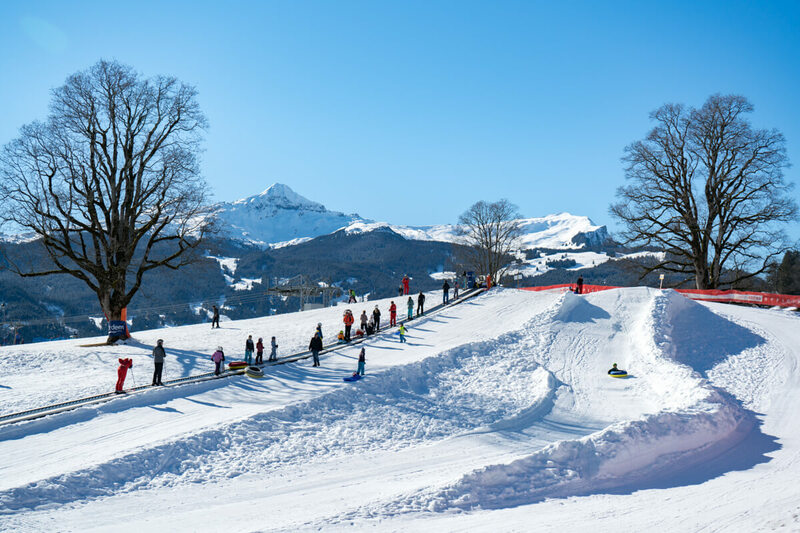 The bodmi arena is also perfect for families and children to hang out, grab some lunch and use the toboggan run! 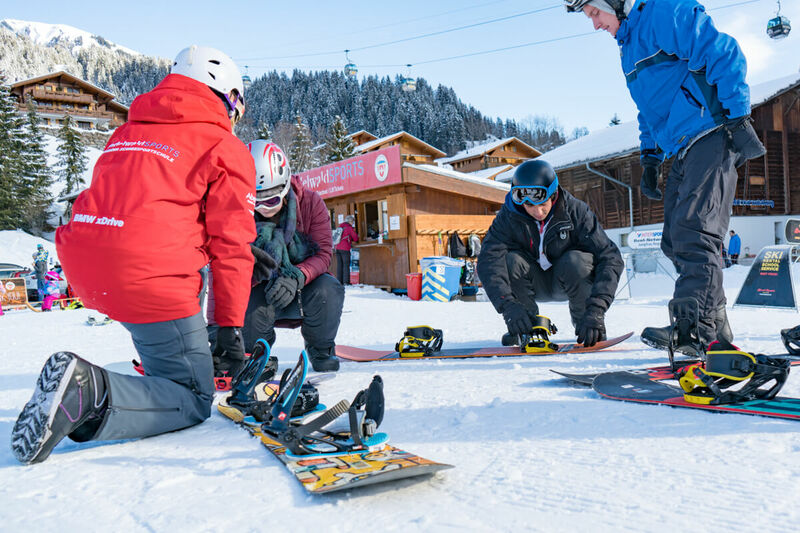 Set on the same gentle slope, you can put in your first turns on a snowboard! There are half and full day packages for beginners to get you started! Flying above Interlaken is breathtaking all year round... but there's a certain magic to the mountains when covered in pure white fluffy snow. Yes, you read that right... while most people associate getting up close and personal with mountain lakes with warm summer days. 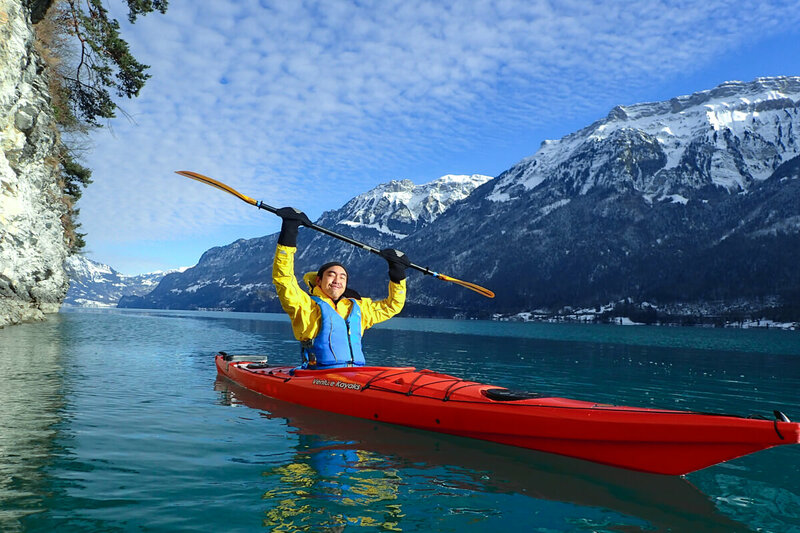 We believe kayaking during winter is the most scenic time to get out there. Don't worry about the temperature, you'll be dressed accordingly to keep you nice and toasty! Need a little more of a kick? 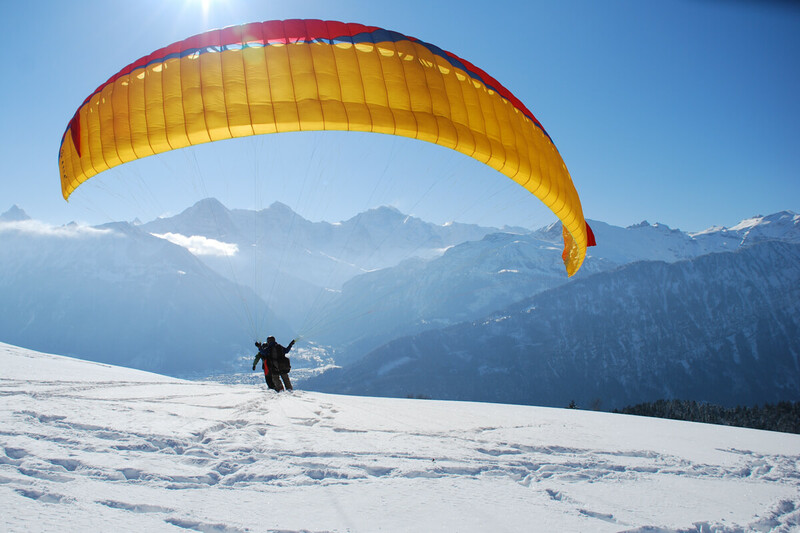 You can even jump out of planes and helicopters over the Swiss Alps during winter! 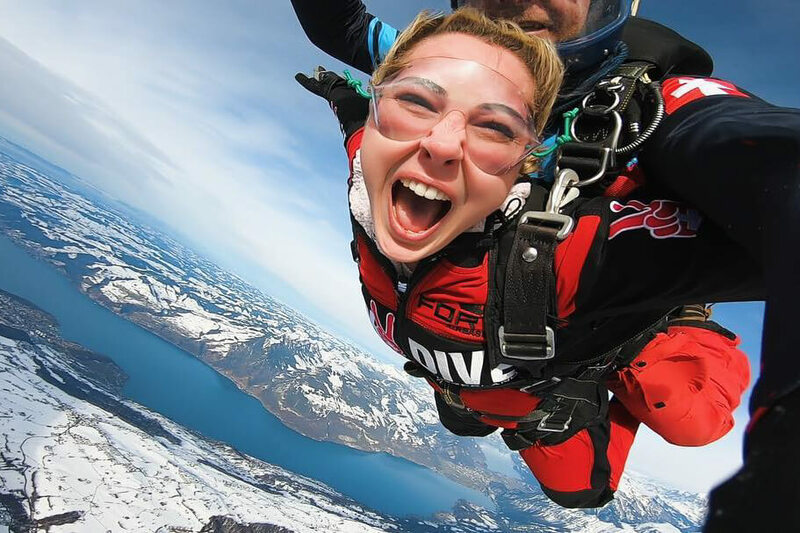 Interlaken has to be one of the most scenic locations on the planet to skydive! 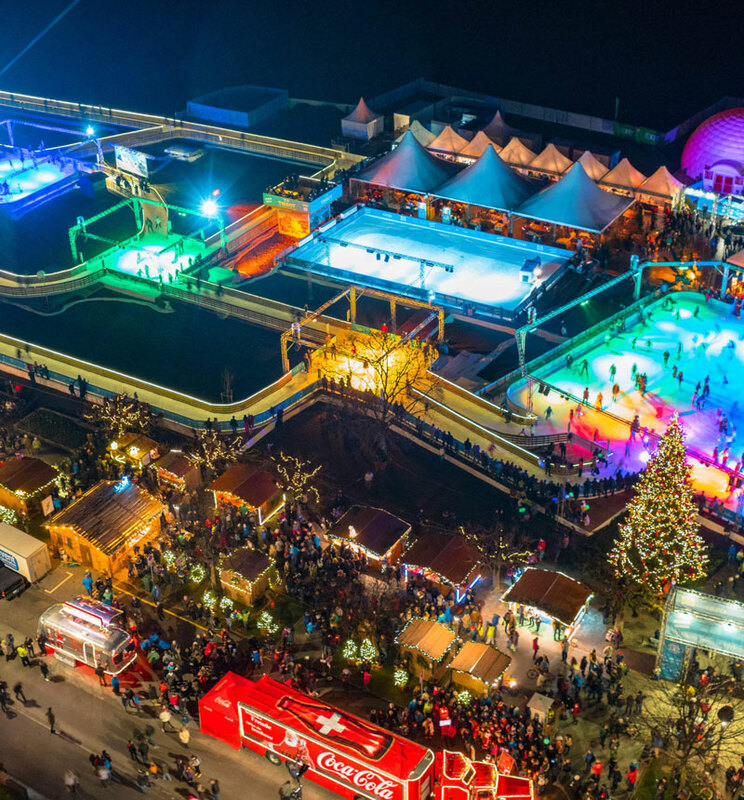 Ice magic is a mind-blowing ice skating, built right in the center of Interlaken during winter. It truly is a winter wonderland and fun for all ages. There are also market stalls and chalet style restaurants waiting for you after you skate! 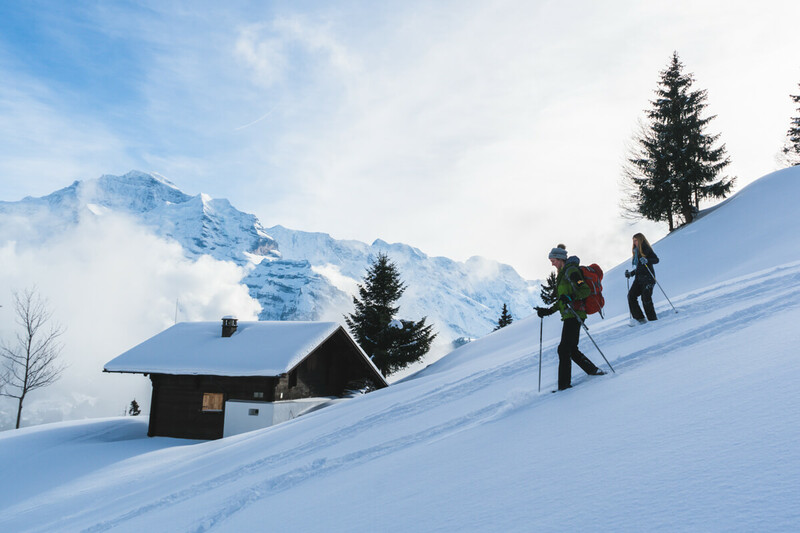 We pinch ourselves every single day at how beautiful Interlaken is during winter. It really is the best town in Europe for adventures of all kinds!